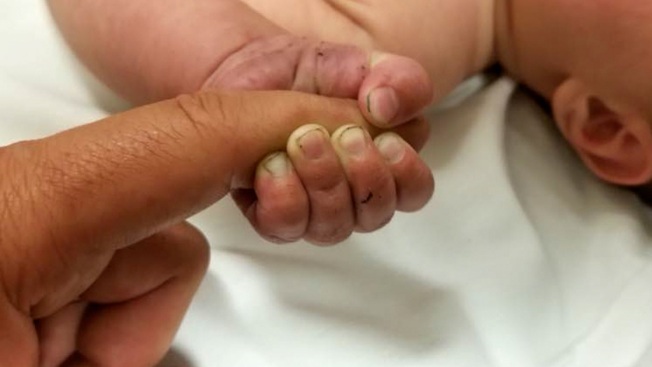 This Sunday, July 8, 2018 photo provided by the Missoula County Sheriff's Office shows a 5-month-old infant with dirt under their fingernails after authorities say the baby survived about nine hours being buried under sticks and debris in the woods. The Missoula County Sheriff's Office says the baby is in good condition at a hospital and calls it a "miracle" that the child survived the weekend ordeal. 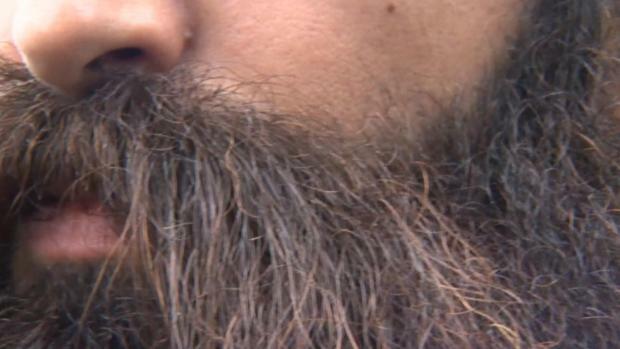 Authorities say they were called about a man threatening people in the Lolo Hot Springs area of western Montana's Lolo National Forest. Deputies apprehended the man who indicated that the baby was buried somewhere in the woods. A 5-month-old infant who miraculously survived more than nine hours being buried under a pile of sticks and debris in the woods of western Montana suffered only minor injuries despite wearing wet and soiled clothes in cold weather, authorities said.